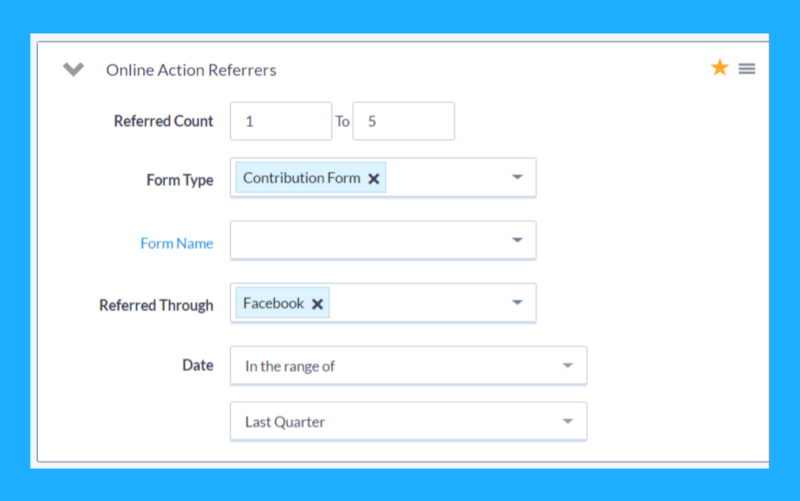 Online Actions now allows you to track referrers who share your forms, both if they click the share asks, and also if those shares generate any new submissions. When publishing a form, on the confirmation page step, enable the social share tools and referrer tracking. Once in use, you'll be able to search for your most active and successful recruiters - and target them for future outreach, increased engagement, and recognition.